This installer adds 3 additional skins to the the Navitel navigation software. 3. Open ‘My Computer’ and locate the drive letter or device of your units main memory, you can see a removable media with the name “CARNAVI”. 4. Run the installer program, read the instructions and enter or select the correct drive letter and path of your navigation unit, for example F:\. 5. 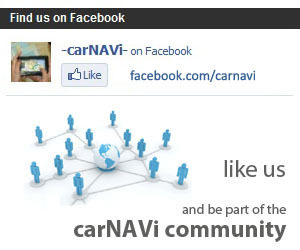 After the installer has completed, disconnect your carNAVi device from USB and start the navigation software. The new skins can be selected unter Settings – Interface – Skin. This skin pack is only compatible with Navitel 3.5. For older versions please update your software before installing the skin pack on your carNAVi.